Credit unions offer a wide variety of services to its members. Just like a traditional bank, credit unions have interest bearing checking accounts, high-yielding savings accounts, mortgages for a home, loans to buy a car or start a business, and more. In fact, there are many benefits to choosing a credit union over a bank in terms of receiving an auto loan. Finding affordable auto loans is incredibly challenging. If you need to purchase a car, but do not have the cash to do so, a credit union can lend you money with a much lower APR (Annual Percentage Rate) than traditional banks. It is always a big decision to buy a car. Usually, a lot of factors need to be weighed before making a purchase. However, sometimes a decision has to be made out of necessity. Perhaps your old car just broke down and you have no other way of getting to work. Or maybe you just got hired at a new job and need a vehicle for the commute. When these surprising events emerge it is important to know that you have loan options to buy a car without having to put down all your cash. Loans are beneficial for first-time car buyers too. Making the bold decision to buy a car is the easy part. When it comes to financing the costs, taking out a loan is probably your best option because it allows you financial freedom with your available cash. There is no need to put all your savings into a vehicle, especially if you are not yet a seasoned car owner. You Can’t Afford a New Car: In the first place, your cash savings might not be enough to buy a used car. Used cars come with a lot of hidden maintenance costs and usually end up costing more than a new car in the long run. Taking out a loan to afford a new, high-quality car will serve you well in the long-term, and that’s the kind of vision you need when it comes to purchasing a vehicle. Diversity Is Key: In the second place, financial planners at a credit union will advise you to keep your options open rather than putting everything into one investment. Diversity is one of the best ways to ensure financial stability, so why not start making your savings work for you? You may want to invest them into a high-yield savings account which will bring profit every month. At the very least, it is important to have some cash available in the case of a medical emergency. READ Can your Next Status Update Hamper your Loan Eligibility? Auto loans at Public Service Credit Union are secure and offered at competitive rates. In fact, anyone with a solid credit score will receive a fixed-rate loan with an APR that is under 2.5%. This arrangement will allow you to get a car when you need it, and pay it off in small increments each month. A car loan at the Public Service Credit Union also includes Mechanical Repair Coverage for a very inexpensive rate. This plan will ensure coverage for any damages or assistance required on your new purchase. Applying for a car loan with the Public Service Credit Union is convenient and quick. The online portal is equipped with a car finance calculator and a car loan estimator, allowing you to see for yourself what the options are. It is helpful to be able to play around with costs and percentages to see what you are able to afford, and how you are able to afford it. Once you are confident with a financing plan that fits your budget, simply apply and wait for confirmation from a member of the staff at the Public Service Credit Union. There are a number of perks for being a member of the Public Service Credit Union. For example, qualified members can enjoy 100% financing on the purchase of a new or used car. That means you only need to pay a small upfront amount to get access to the car you desire. Along with competitive rates of up to 84 months, buying a car should suddenly seem a real possibility! Credit unions strive to create a family environment in which everyone feels respected and trusted. Even the employees are on your side – they are committed to helping you make the most of your money. 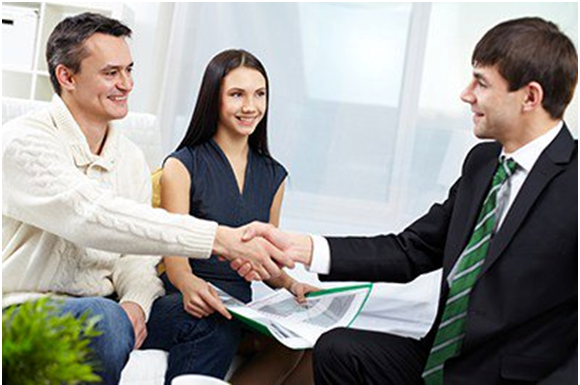 This caring attitude is embodied in the financial structure of the institution, which offers competitive interest rates for any kind of loan you desire. This is especially true of the auto loans offered at the Public Service Credit Union. The added bonus is that Public Service Credit Union staff will advise you every step of the way to ensure you are comfortable with your loan arrangement. It is advisable to schedule a meeting with an employee before applying for a car loan so that you can review all your available options with an informed banker.